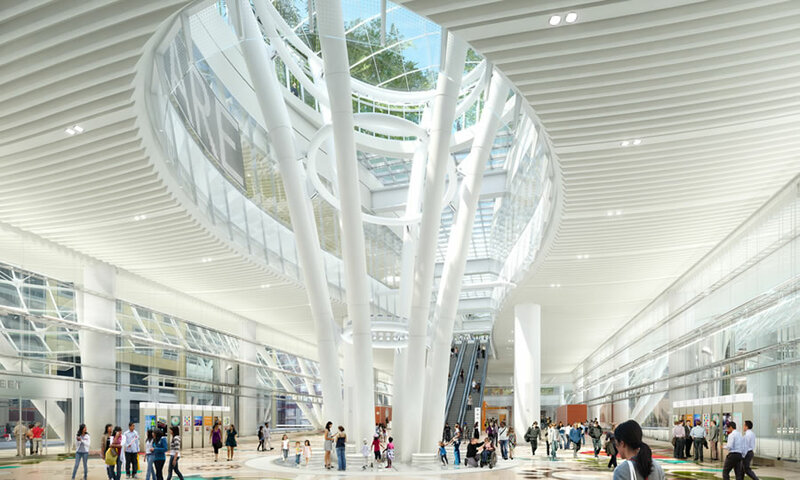 With San Francisco’s new Transbay/Salesforce Transit Center and rooftop park slated to open on August 12, the first four (4) leases for the center’s thirty-five (35) potential retail/restaurant/commercial spaces have been negotiated and could be approved this week. Eddie Rickenbacker’s is slated to sign a 15-year lease for a 2,500-square-foot, ground-floor space on the western end of the terminal, near Second Street, adjacent to which Philz Coffee is expected to sign a 10-year lease for a 2,100-square-foot space. And on the second floor, OnSite Dental is positioning to secure a 3,500-square-foot space while Fitness SF is slated to open a 34,500-square-foot gym with a 15-year term. Philz Coffee: Making one cup of coffee at a time may be a bit challenging. …not as challenging as drinking that swill. This is not shaping up well. I mean dental office? Also seems sort of non-sensical to have a fitness studio in a transit station. considering that trains are due to pull into the station no sooner than 2027, and probably much later, I’d say there’s plenty of time to get a run in on a treadmill…. Why is this bad? I read it as the tenants expect sufficient local demand to offer services more for residents who live / work in the area, not just those who are there to use the station. Is that a bad thing? Also thinking it through more, with HSR not due for many years still there really won’t be much more here than local bus service so the hi end / more touristy or true business traveler accommodations won’t really be needed for quite some time. They really need to get going on the HSR. As others have noted here we have a glorified bus station, which the temp TBT was handling just fine…. …. that and an awesome park, which willl be cool. Maybe in 20 years we’ll finally have HSR, cal train, the bart connector tunnels AND a 2nd transbay tube. It’s a shame it takes so long nowadays. Let’s see how much of a draw the park is when it opens. It’ll be an average mall plus a park on the roof… and also some buses. The Westfield is already better integrated with regional transit. But Westfield is also an armpit packed with thugs and tourists, connected to Powell Street Station, possibly the least pleasant Muni/BART station in the entire system. You’ve clearly never been to pretty much any other mall in America. Ive never seen “thugs” at westfield. 20 years or 200 years? OnSite Dental provides services for major corporations. They have a semi trailer that they take around to different corporate campuses. It makes plenty of sense for them to have an office right in the middle of an area where giant companies have giant leases. Yea. 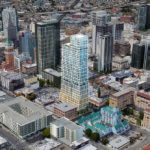 Dental office wins, Transbay Terminal loses again, more. I have no doubt said dentist or payday loan or locksmith or tarot card reader would love such a central place for an office, it’s just a bit odd to me that the transit center retail company would be down to let it turn into a strip mall so quickly. I’m sure they’re just beside themselves for not having appealed to your personal taste. Yikes, hopefully it will not become that down market. Sadly the shops or lack thereof is a reflection of the city. We are a village after all. As much as people malign Penn Station in NYC, I like all of the shops and eateries in there and the daily hustle and bustle. It is definitely lower end than Grand Central but coming from SF, both are models. Unfortunately I did not have a chance to visit the underground transit shops in Beijing or Shanghai but was told you can buy almost any household item and arguably you need not ever venture above ground for your goods. I did visit a major transit point at the Shenzen – Hong Kong border called Lo Wu station. There was multi-level spa with full legimate body massage totaling several thousand square feet offering services for a fraction of Hong Kong prices. Attached to the transit station were several multi-story high retail buildings with almost endless smaller vendor shops and high end restaurants. Across a public plaza were several high end hotels. The whole area next to the major transit station was designed in a way that you could spend several days there on business or a tourist and not be bored. So for SF Transbay Terminal to succeed, you need hotels, residential, and office space on a large scale to support the ecosystem. What, in your mind, is transit retail supposed to be? Selling tires to the buses? An airport style kiosk with best sellers? Actually it seems like a perfect place to have a fitness center. Since folks usually exercise before or after work, put it directly on their commute is ideal. And of course it is convenient to everything else downtown. Especially since the 24 hour fitness at 2nd and Folsom closed recently. I totally agree. Makes perfect sense. I totally disagree with regards to the fitness studio. The transit station is secondary. The primary audience for a new gym is twofold: workers in neighboring office towers, and soon to be residents in all of the projects being completed in Transbay. 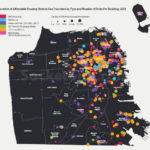 I live in Mid-Market/The Hub and Fitness SF has a gym there under a similar strategy (attract both workers at Twitter/Uber/Square as well as residents of nearby housing complexes) and it is SLAMMED at any given hour. It is insanely popular. And it’s not as if 30,000+ square foot modern floor plates for the type of modern gym that 20 and 30 year olds prefer are omnipresent in the city. As for the dental office, once again they are positioned between SF’s biggest office buildings and several large housing construction sites. If anything that’s a vote of confidence on the density of the area. This was never going to be Valencia or Chestnut. And with only buses at the moment, the retail slots are going to be targeted towards nearby workers and residents who want quick/easy. The two retail slots on top at the park have the opportunity to be something truly special if the park becomes popular so we’ll wait and see on those. Re: a chestnut or Valencia….. yes that’s correct. This is meant to be a world class intermodal transit hub. Neighborhood unique shops, as much as I love them, are generally not going to be in the TBTC. Maybe as a one off here or there and I hope that happens but that’s not the reality of what will happen here. The TBTC should be medium to hi end, internationally known companies. Local biz can and should compete for space. I’m getting nervous the more I think about it, about filling this space. I look to the empty shops in the ground floor of solaire along Folsom. Also the new (awesome!!!) rising residential towers along Folsom). This’ll be interesting to see play out. I know I’ll be using this be awesome rooftop park!!! FWIW I was at the Avery sales gallery and allegedly they have a LOI out for each retail space so I wouldn’t be worried at all. Related has great connections with retail. They apparently already have a LOI out for the gym at their 1500 Mission development and that’s still two years from completion! If they can flood the Avery “Paseo” with solid retail, the other projects will benefit from other brands trying to get in on the action. I’m not too worried there. Transbay has what, 35-40 spots? Dental is great IMO, they will get a ton of business from the nearby towers. Gym I’ve already mentioned why I think it’s great. Beyond that we don’t know much more other than a Philz and a restaurant are going in. Philz will be packed as per usual. I think we’re headed for a Chipotle/Boba Guys/7-11/GNC type mix to be honest. With a couple “fast casual” spots (like a Tacolicious or Super Duper Burger type expansion). It’ll serve fast errands and food for workers nearby moreso than transit because without the promised trains, we’re not getting “medium to high end”. They will be MORE than fine if they can get two awesome restaurant/bar anchors for the two large spots on top at the park though. So, you’re going to start deciding what retail tenants are appropriate or not? Is it really that difficult to suss out what kinds of businesses would be ideal for a massive, intermodal transit center? Travel to any larger train/transit station in Europe or Asia and you’ll quickly see that this crop of commercial tenants is shaping up to be less “regional hub” and more “Santa Clara strip mall”. Yeah but those European and Asian stations actually have trains. As someone who actually lives/works in downtown SF, these are great additions. Look for a lot of groggy people with hamster cheeks on the commute home post dental procedure. Two of my favorite cities, Melbourne and London, both have gyms in busy transit stations and they are always busy. So what’s in the real GCT, you ask? a mix of services, (other) retail and eating places, with a seeming emphasis – according to news articles – on high-end dining and shopping. Whether such develops here is something we’ll have to wait and see, but I think the problem is really more with the conceit of the comparison being made in the first place. It did take GCT over a century to get its first Apple store. “Anti-climatic”? So these tenants will not thrive in SF’s climate? Or are they climate (change) deniers? So, I’ll go out on a limb and assume rickenbacker’s is moving to avoid being in the way of eventual DTX construction (doesn’t appear to be directly in the path, but surely they would be impacted, and maybe got a discount due to that). They already sold their tiffany lamps so maybe they can even afford the rent for 15 years also. Philz will have 2 locations, one on the East end and one on the West. Considering there is 100K SQ feet of lease space available, these leases will take up ~43K of that. In the mean time, there will be pop up shops by the opening next month. This is a good thing. They are providing neighborhood services for a quickly growing neighborhood. This is a good use of the space for *this* era of the terminal. If they went all high end right now, it would sit empty. That said, I expect a crap ton of restaurants to be announced. A) The business owners who put their money on the line, who have a good understanding of their client needs, who track market opportunities and pressures closely, who weigh prices of alternative leases etc. etc. When the entire premise is that “I don’t like the choice of tenant moving in, therefore it’s bad”, you’re damn right it’s trolling. I would probably look to NYC, Tokyo, Singapore, etc. to see which kind of retail does the most business in or next to a transit center. What I have usually seen at stations in other locations is mostly restaurants and convenience stores – not really high end but with higher prices than elsewhere – very similar to Airports. Actually the typical shops at airports with the airport premium price tags aren’t doing well in the age of online comparison shopping. In Singapore’s Changi Airport, prices for food and other items are in line with prices in the main city shops from what I’ve read. This way, there is really an incentive to stop, browse, and buy at the airport not to mention convenience. I enjoyed eating and buying fresh baked goods at the Hong Kong International airport, the only thing I find missing is an onsite bespoke tailor so I can get measured for a suit when I get off the plane, select my fabric, do a second or third fitting, and pick up my finished suit on my flight back home. Changi is one of the best luxury malls in Asia…that just happens to be in an airport. 🙂 Plus Singapore gives an incentive to shop there by making pretty much everything tax free (not same as duty free). I found better bargains there than in other major Asian cities. Unfortunately, the city planners in SF have never had a clue as to how to plan areas of a major city to meet the highest and best use and provide services for all who frequent the area (not just one or two demographic segments). Just take a look at all the empty ground floor retail in nearly every building since 2000 and the empty storefronts in major downtown districts the the FiDi and even Union Square. I realize this location is very central and will have tons of foot traffic, but if I were a potential tenant I sure would not want to bet on this untested property. It could end up a big success or it could end up being the city’s largest homeless shelter (something that I hope happens since it would get people off the streets). Such is always the ‘risk’ of doing business – going into ‘new’ areas or markets or whatever, no way to be sure if it will pan out or not. However I would say that given the large operating budget which is mostly for security precisely to keep homeless from camping out, plus the fact that there are two (soon three) expensive buildings directly attached who would also like to keep things neat and tidy at their doorstep, that it will likely not be too bad of an issue for at least a good while. Frankly, I think caltrans may have even been tacitly allowing the old terminal to get run-down so as to generate enough motivation to replace it with a spiffy new terminal as you now see. It will be interesting to see how successful the terminal’s “ambassadors” and unarmed private security will be at keeping the homeless away. Think some drugged out homeless person is going to be intimidated by an ambassador wearing khakis and a polo shirt? Pure comedy. The Transbay Joint Powers Authority Board of Directors approved a 3.5-year, $18.2 million contract with Universal Protection Service, LP, otherwise known as Allied, for unarmed security guard and ambassador services. The ambassador services are modeled after community ambassadors used in community benefit districts like Union Square, Fisherman’s Wharf and Yerba Buena Gardens to provide a more friendly and less intimidating contact for those who may be homeless in area. I work in the area and welcome the new commercial spaces and park. While there are a few restaurants, plazas and services in the area (sporadic compared to north of Market), once you’ve been a few times, it’s boring. The park will probably be a big hit, especially once the tourist and workers discover it. I plan on having lunch and breaks there. Can’t wait! I agree this new park is going to become a landmark tourist site. And local site. The vision is coming together here. I see it walking by day after day. The residential towers and more local housing for residents will also be key. More residents like another 20k here are needed. But this is going to be amazing in 15 years. I predict there’s gonna be a helluva lot of eateries in that structure. It’s going to be a typical mall…period. The 100% unnecessary (and in fact actively harmful to the transportation program of the Transbay Terminal) blocks-long above-ground mezzanine and the 100% unnecessary (and in fact catastrophic for any and all hypothetical rail service to the Transbay Terminal) blocks-long underground mezzzaine, constructed at a cost of well over a billion ($1000000000) tax dollars, have now attracted [these tenants]. Assuming these leases total over $5 million a month, the multi-modal multi-purpose TOD outcome of the TJPA’s visionary world-wide world-class Architectural Design “Competition” might break even on these retail spaces constructed at public expense, and to the direct detriment of public transportation. These leases DO total more than $5m a month, right? Because otherwise heads would roll, right? In other grand news from the TJPA, PTG, the aggressively invasive contagious cancer that keeps on giving and giving and giving and giving, will keep on getting and getting and getting, forever (“Authorizing the Executive Director to execute Amendment No. 04 to Agreement 03-02-DTX ENGR-002, Engineering Design Services for Caltrain Downtown Extension Project Term 3 (2011-2019), with Parsons Transportation Group to extend the term of the Term 3 Agreement by two years (2019–2021) and increase the contract amount by $15.5 million, for a total contract amount of $22.3 million”). Score! Limitless incompetence, grotesque rent-seeking and decades of failure are always their own reward. they should build an elevated walkway park like the hi line from this park to Yerba Buena Gardens/Moscone Center along minna Street.